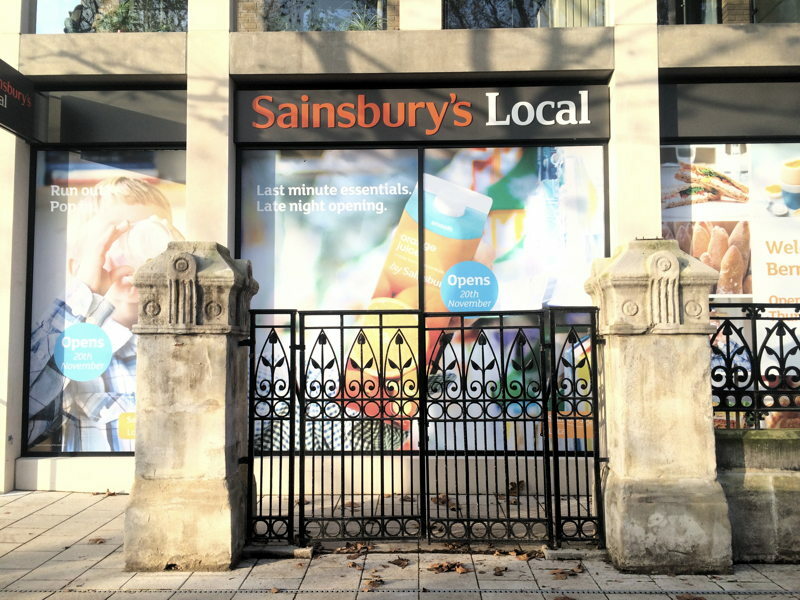 The new Sainsbury’s Local in Spa Road opened its doors this week. The store is open seven days a week 7am-11pm. In front of the new shop the gates of the old Bermondsey Town Hall (destroyed in World War II) have been retained. The entrance to the convenience store is in the new alleyway – named Arts Lane – at the side of the new building.